On 2/23 my three new fish successfully transitioned from the hospital tank into observation! This is only the second time I’ve quarantined fish and only the first time I’ve gotten fish to this stage. 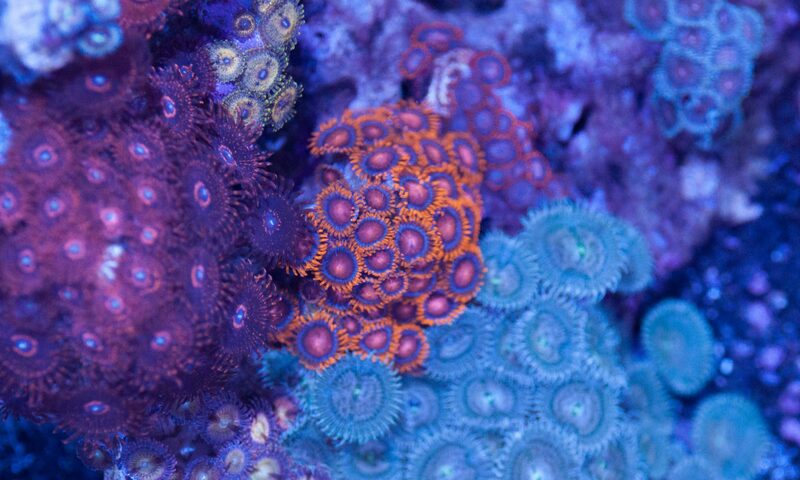 The last group of fish had velvet and then uronema and ultimately died when I forgot to turn a pump back on after feeding. These three came through without a hitch. I had a few days when ammonia crept up, but a 10% water change took care of the problem. Sorry the picture above is a little dark, but this is right after moving the fish over to the observation tank. 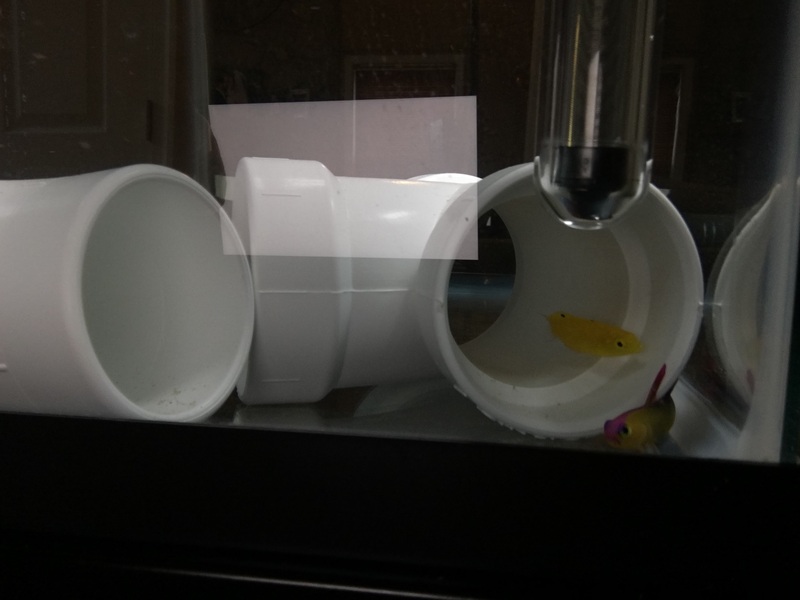 The yellow watchman goby is there too, but he likes to hide under that piece of PVC on the left. The fish came out to eat thirty minutes after I moved them. Everything seemed to be going perfectly, until…. I noticed a fuzzy white patch on the firefish’s tail. DANG IT! It looked a lot like the infection my clownfish had not too long ago. Lucky for me I had Kanaplex on hand already and started dosing it right away. This is why we do observation after QT! 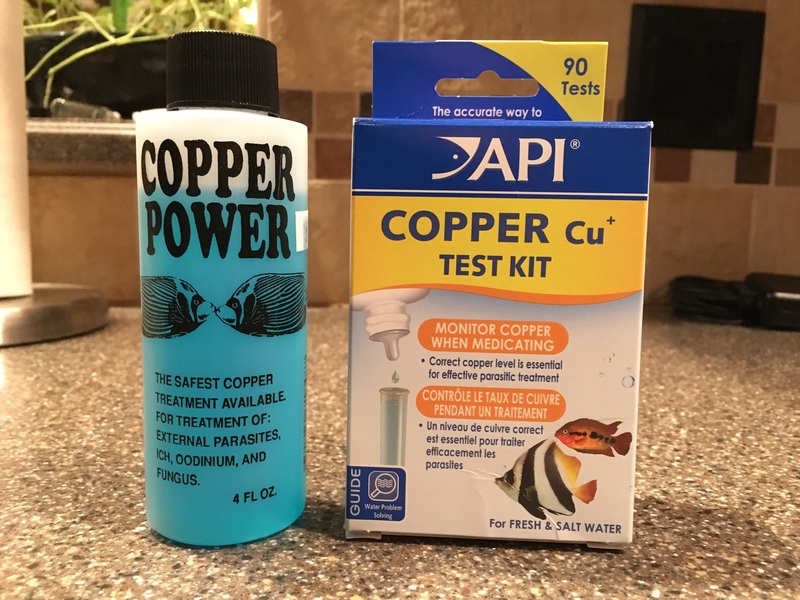 It isn’t uncommon for fish to come through copper and wind up with a secondary skin infection. Treatment in observation is super easy, but it would have been a pain if they were already in the DT. It’s a little hard to see, but watch the firefish’s tail in this video and you can see the white spots flash on his tail. The last thing I found out I did wrong was the prazipro treatment. There’s a calculator that tells you dosage intervals and I didn’t know that. 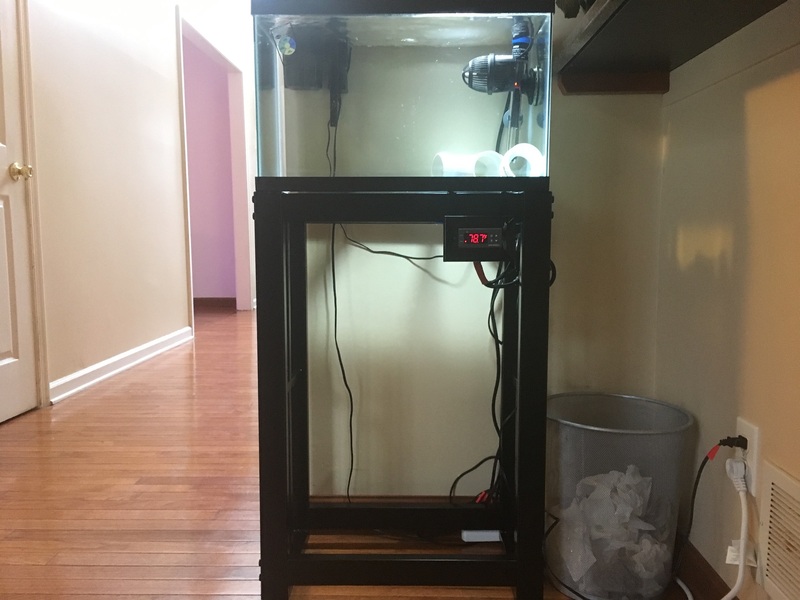 I just followed the plan of dose, waiting 72 hours, dose again, wait 72 hours and do a water change. Apparently I was supposed to dose and then dose again after 6-8, then repeat. ^– That’s what the calculator outputs. I’m going to dose Kanaplex two more times, two days apart. Then I’ll run carbon for 24 hours and redo the prazi treatment.